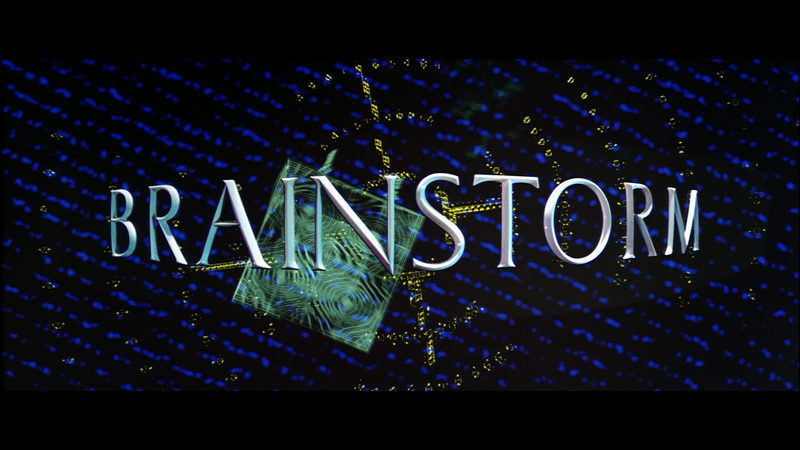 Brainstorm might not be a perfect sci-fi flick but it’s easy to see why this has garnered a following since the DVD release in 2000 (and subsequent 2009 remaster) with great performances from Christopher Walken and the late Natalie Wood. The effects, by 1983 standards, are impressive being able to utilize computer technology back then and make it at least realistic. 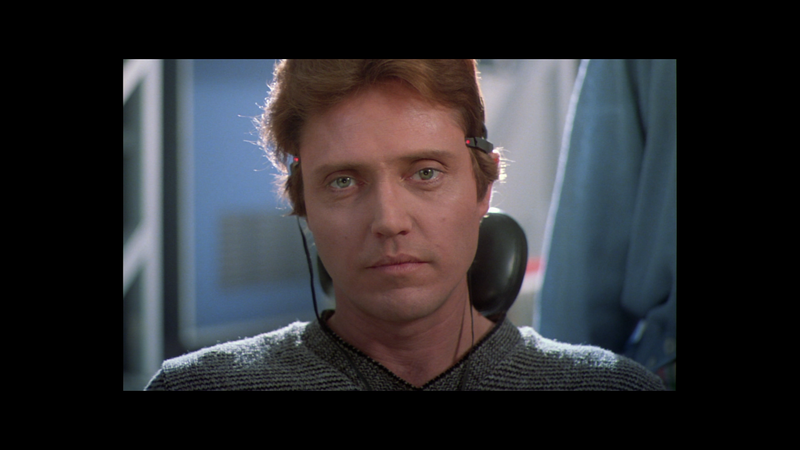 Plot Synopsis: The story centers on scientist Michael Brace (CHRISTOPHER WALKEN) who, along with colleague Lillian Reynolds (LOUISE FLETCHER), have made a breakthrough in a technology which allows one person to experience everything – touch, taste, feel, vision, etc. – another person does via a device which connects one with the other. The technology can be utilized for anything… including militarily as they’re interested in it and the company CEO, Alex Terson (CLIFF ROBERTSON), is willing to sell out. 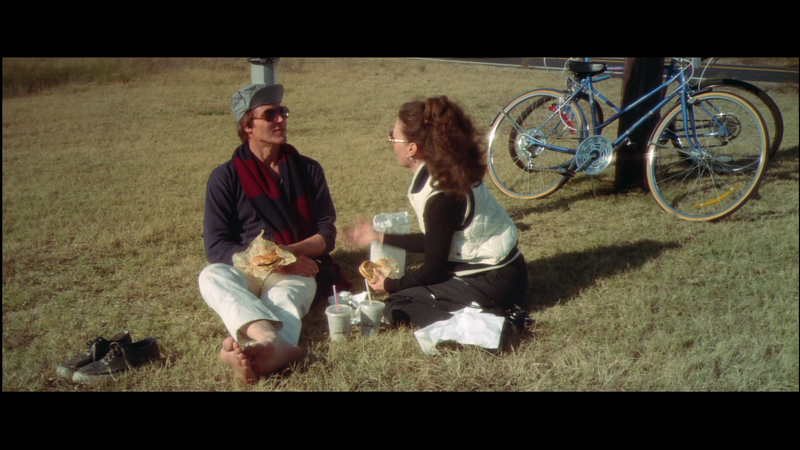 Also working on the project, to make the device the person wears on their head more compact, is Brace’s wife, Karen (NATALIE WOOD), but the couple are separated. 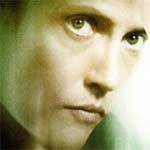 When Lillian suffers a fatal heart attack, her last action is to put on the headset and record her last moments, ready to be viewed by Michael. However, before he can, the military brass move in, take over Michael’s laboratory and more or less cut him and Karen out of the loop, locking up any information for other uses (one is a torture tape, another can be used for jet pilots). Didn’t entirely follow the military uses, outside of interrogation, but it’s a minor point. Now Michael, with Karen’s help, tries to hack in and view Lillian’s final moments which includes the afterlife. Quick Hit Review: A box office flop back in 1983 (garnering a mere $10.2M; $25.7M today w/ ticket inflation), Brainstorm has quite the melancholy storied history being the final film from actress Natalie Wood who, now famously, had boarded a yacht with husband Robert Wagner and co-star Christopher Walken, and apparently fell overboard and drowned. Whether it was accidental or not, isn’t for this review, but it is one story behind the film. The other came after her death in which the studio wanted to pull the plug on the project and collect on the insurance but director Douglas Trumbull had final say and moved forward, thus sealing his fate in Hollywood of being basically blacklisted (this was his last Hollywood feature). Yet nearly 30 years later, Brainstorm has found an audience in the home video market and is more popular than ever for some innovative science fiction and even visual effects which, for a film made in the late 70s/early 80s, isn’t bad. Brainstorm is hardly a perfect film but the idea behind it is intriguing and the performances, especially from Walken and Wood, is splendid. It might not rank up there with the pantheon in the Science Fiction genre but there’s more here than in many others that have come and gone. If you have yet to check it out, I’d recommend it with only one caveat: it is slow for the story to develop with many quieter scenes used to establish what the scientists are accomplishing, but despite using some of the 1980s technology, it never comes across cheesy and the film takes a relatively realistic approach. Only feature included is the Theatrical Trailer. Brainstorm offers up a strange video presentation that I’ve only experienced once before. Theatrically, most of the scenes are in 1.85 aspect ratio but whenever the audience is using the device to see into another person’s mind, the AR switches to 2.40. So for this release rather than switching ratios we get space on the top and sides during the 1.85 scenes while the others fill the screen as usual. This results in the smaller picture not looking the best, sometimes looking a bit washed out while the other shots look incredible and amazingly vibrant. So this is a mixed bag but given its age, it’s still a good transfer but not amazing. Oddly enough, the soundtrack also goes on a similar route. The 1.85 scenes come across soft and quieter while the 2.40 AR, the 5.1 DTS-HD Master Audio picks up and gives an incredible aural experience. Unfortunately these scenes are too few and far between. That said, the track itself is satisfactory, just lacks an extra oomph in some scenes. 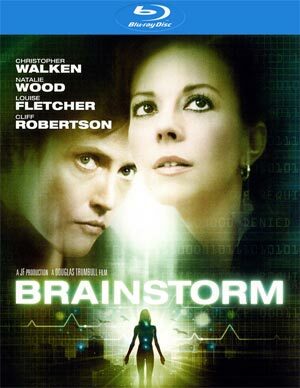 Overall, Brainstorm might not be a perfect sci-fi flick but it’s easy to see why this has garnered a following since the DVD release in 2000 (and subsequent 2009 remaster) with great performances from Christopher Walken and the late Natalie Wood. The effects, by 1983 standards, are impressive being able to utilize computer technology back then and make it at least realistic. 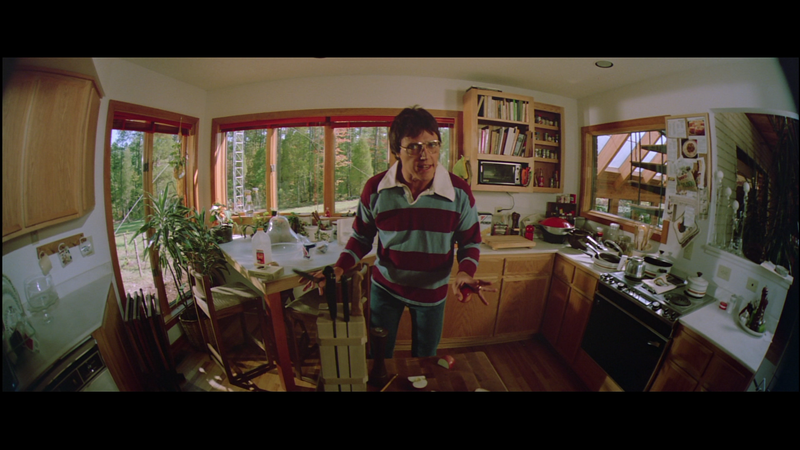 The Blu-ray is light in features – it’d be nice to get Douglas Trumbull’s thoughts on it now – but the audio and video are good enough, though hardly overly impressive.